This article describes the step-by-step procedure for the installation of a motherboard inside the computer case. Following are the key steps; you need to follow while installing a motherboard in a computer case. Turn your PC case on a plane surface and remove its power lead from the power supply, so that you can have the clear access to your motherboard plate. Now locate the holes on motherboard and on the case or motherboard mounting plate. Gather your standoffs. Screw them into holes in case or the mounting plate that is line up with holes on motherboard. For the holes that line up with motherboard with an eyelet hole, install a plastic stand-off on motherboard. The stand-offs should poke through motherboard. Now expand the stand-offs to keep them in place. The little disk on other end of stand-off will later be used to slide into eyelet holes. If your computer case does not provide the eyelet holes then do not worry about this step. In most of the cases use only metal standoff screws to hold motherboard. Now take the motherboard by its edges and place it gently while holding it over the case. Make a proper alignment of the motherboard inside the case. In the case of right alignment all connecters will be placed in right positions. Lower the motherboard into the computer case. Place it on top of standoffs. Just place the motherboard so that all the screws are aligned up in the right position. If you are using any of slide-in standoffs then you will need to slide these into eyelet of their holes as you lower the board. Now make an inspection of the screws. All the screws should be tightening downward in the board. You should take care while placing the screw in the motherboard. In some cases the head of the screw is sometimes wider, in such cases you need to place a plastic washer below the screw to avoid the short- circuiting of the motherboard. Tighten your board down after placing the plastic washer below the screw. Tighten the screws, first by your hand and finally with the help of a screwdriver. Always make sure that you haven’t tighten the board too much as it may break your board. If you are installing the motherboard to a removable mounting plate, then install the motherboard mounting plate into the case. On some cases, the motherboard plate is installed from the side. On these, you need to insert the bottom edge of plate into a guide rail on the bottom of case and then rotate it upward. Finally, double check your work. Check and make sure that the back of motherboard is not touching any part of your computer case or the mounting plate. Make sure that the slots and connectors are line up with the holes on the back of case. Motherboard is the most important part in any computer. It holds all the major hardware which enable appropriate communication amongst them. Motherboard is also called main board or system board and if you are using an Apple computer then you must use the term Logic board. In short form, it is known as MOBO. Before the latest motherboard design came into the picture, a computer used to have card-cage cases called mainframes where all the slots and sockets were available for connection. Then, with high performance computer hardware, comes the age of new motherboards. Motherboard replacement is a very tedious task and one should be careful while replacing or changing motherboard. It is majorly required if your previous motherboard is failed or you are upgrading a motherboard. Upgradation mainly requires in Laptops and personal computers. It is very hard to find the correct motherboard for the current hardware components on your Laptop, but you can always take help from your manufacturer. Find the manual for your laptop and go though the instructions to replace the hardware components like CD/DVD drive and hard disk. You must be very careful while remove these components from your laptop. The fisrt step would be to turn off the laptop and remove the battery and the power cord. Now shut the laptop lid and place the laptop upside-down on a clean area. Now use a screw driver to remove the optical drive, hard drive and RAM from the laptop. You can take the help from the use manual to remove all these components from your system. Remove the wireless antenna lead, if you have one and remove the wireless card. Now open the access door of the processor and remove the complete processor set from the laptop. Now you need to take out all the screws from the bottom of the machine which holds the case but make sure not to remove any screw which holds the any of the LED. Open the case carefully as you may break some of the hidden clips. You may also need to lift or remove before removing the motherboard case. Now remove all the wires which is connected to the motherboard. Remove cards like audio, video and unscrews the mounting screws. Once the old motherboard is remove, place the new motherboard and connect all the devices back. These steps are very similar to most of the manufacturer’s manuals but you should always refer the user manual before removing any hardware from your laptop. If you are not aware with hardware components, you should take help or advise from an expert. The motherboard is the main circuit board of the computer, where the most important internal parts are attached. These include the CPU, BIOS, memory chips, mass storage interfaces, sound card and LAN card, serial and parallel ports, expansion slots, and all the controllers required to control standard peripheral devices, such as the keyboard, display screen, and disk drive . All of these important components have drivers so that they can communicate with the computer. Drivers acts like a translator between the components and programs that use the components. Each component or device has its own set of specialized commands that is known to its driver only. While in contrast, most programs access devices by using generic commands. Thus the programs send generic commands to the drivers which are translated into specialized commands for the device. As motherboard regulates all activities of your computer by allowing each portion of the machine to communicate through its built-in circuitry that is drivers, you can very well guess how important it is for the functionality of your computer. If you have an operating system on your second hard drive and it is not automatically detecting the drivers for your motherboard, or if you want to reinstall the drivers on your computer as a troubleshooting method, the best option for you is to download the drivers from the manufacturer’s website and manually install them on your computer. To install drivers to your second hard drive, you should install the drivers with an operating system, and you must be able to boot from the drive. Now it’s time to see how you can install motherboard drivers on a second hard drive. For this you need to follow the instructions given below. First, you need to download the motherboard drivers. To do this, visit your computer manufacturer’s website. From the home page, you can go to the “Drivers and Download” page. Type your computer’s model number and press search button to see the list of drivers available for your model. From the list of operating systems, select the one installed on your second hard drive and download the listed motherboard drivers to an empty folder on your second hard drive. Restart your computer and before the OS loading screen appears, access your BIOS setup utility by pressing the key displayed on the PC’s start-up screen. Now reconfigure your BIOS settings so that your computer’s boot priority is set to the second hard drive. If you have no idea how to change the BIOS settings, contact your motherboard’s manufacturer, or check your PC’s documentation. Go to the folder where you installed the motherboard’s drivers after your OS loads. Uncompress zip files if there are any by using WinRAR or WinZIP. Install the drivers on your computer by double-clicking each executable file one by one. Not all at once, as this could make your system unstable. Motherboards are an important part of any computer and they are integrated with hardware parts of the system. The main power supply is also connected to the motherboard. A computer needs 230V and 50 watts power supply to run it properly. If you saw an open computer case, you see that there are so many connections and cables connected to the motherboard. It is not a tough task to do all the connections right on the motherboard if the hardware is working properly. The first step is to consult the motherboard manual to determine and locate the connections. You need to find out what connections are required to installed hardware. For a specific part we need different power connections for example for ATA hard drives we need different type of power connections than IDE drivers. When you will try to fit cables then remember that they fit in one direction. If you are getting the connection right then just reverse it. Now connect the power supply cable to the motherboard, it is a 24 pin wide and white colored cable generally. If the motherboard has extra ATX12 v 4 pin connections then connect the power connector. May be the motherboard consist of 20-pin connector then snap off 4 pins and connect the power connector to the motherboard. Now the third step is to connect the power cable to the processor fan and processor. Generally the processor fan is connected to the motherboard or directly to the power supply. Now locate the connectors from the front of the computer they are for reset switch, one for power switch, LED’s power and one for hard drive. You can connect the connectors to the motherboard; motherboards have specific ports for them. Sometimes it requires polarity in that cases connect the white or black cables into the negative slot. Now you will have to connect 4-pin Molex connectors to the CD drives and hard drives. If you have ATA hard drives then it uses a thin flat connector instead of the Molex connectors. You can also connect connector to the floppy drives; the connector is smaller but similar to the Molex connectors. Now when the power supply is connected then double check all the connections before closing the computer case, also try to check the screws holding the power supply. To check if everything is right, turn on the computer and see if computer is running properly or not. The power supply is the most important component of a computer, it is very important to check it regularly. If the power supply is not working properly then you will experience a lot of problems in the computer. Sometimes you experience problems like system responding awkwardly and shut down suddenly. These problems due to the faulty power supply so try to check the power supply and other connections. As you know that a motherboard is integral part of peripheral system of your PC. In order to run the hardware you need drivers. As the motherboard is the backbone of the computer, all the hardware like video card or sound card is attached to the motherboard. The best method to detect the motherboard driver is to take the help of device manager in the Windows based computers. A motherboard also communicates with other components of the computer. There are set of drivers that allow a motherboard to function properly. Suppose you want to remove or replace one driver from the system then you should know how to detect all drivers you have. You just follow the steps given below and you will be able to determine the motherboard drivers in your computer. First step is open the desktop window and right click the” my computer” icon. Now go to properties, in the property window just go to the hardware tab. Under the hardware tab hit the device manager window to open the device manager window. It will show you a list of all the devices on the system. Now in the device manager expands the system devices with a click. Now find out motherboard resources under the system devices. Now you will just have to double click on the motherboard resources button to see the motherboard resources window. In the motherboard resources window locate and click the driver tab. When you click the driver tab it will show the information regarding motherboard driver’s name and version. Motherboard is a very important component of the computer. Most of the hardware problems occasionally occur in the motherboard. You can troubleshoot a motherboardby yourself because it is very tedious process to hire a professional to repair and clean the motherboard. The first step is to backup everything present on the system. May be you are experiencing some hardware issues. It is very important to back up the data on other data storage system like external hard disk to avoid data lose during hardware problem. Now you have to notice the problem or issues you are getting, try to reproduce the issue again so that you know the symptoms. Now the next step is to isolate the problem; if you are not getting the power then the problem can be in power cords or wall outlet. So check these also before replacing a motherboard. You are trying to run everything but things are not working; check for the loose connections on the motherboard. 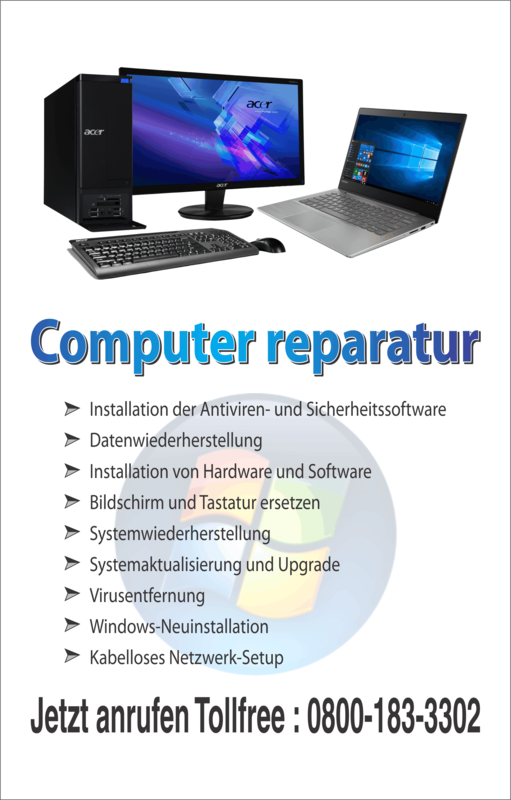 Now you can also remove hardware parts which are not necessary to functioning a computer and check for the problems. It will help you to narrow down the issues regarding motherboard. One of the best ways to check the issues present in the system to run the system with another compatible motherboard. If everything is fine and running smoothly then you can replace the motherboard. One of the best ways to troubleshoot the motherboard to check with duplicate parts that you know works. It will help you to know the problems in specific parts connected to motherboard. We also recommend you take maximum care with the internal system of the computer. Motherboards have some very delicate electronics part which can be damaged very easily. It will create more problems than you solve and also destroy the whole circuit of motherboard. 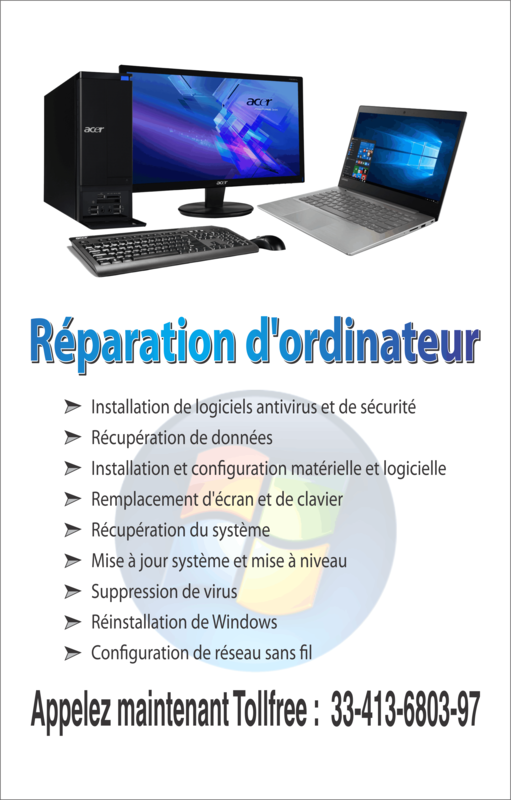 We recommend you to get some experience in trouble shootings and hardware before trying the tricks with your own system. So there can be different kinds of problems like you are getting beep sound, fan speeding up but not getting any thing on screen then the problem lies in RAM or the monitor power supply. Most of the problems we saw is related to RAMs and power supply so please check these parts before you are replacing or trying above steps. You can list out entire problems and step by step try to resolve the problems. Sometimes the BIOS settings are altered and this can also creates some problems in startup or running a system smoothly. You can also upgrade BIOS to get it perfect and run the system smoothly. Check peripherals connected to the motherboard like Monitor, keyboard or mouse; there may be some problems in peripherals itself. So try to diagnose these problems first.